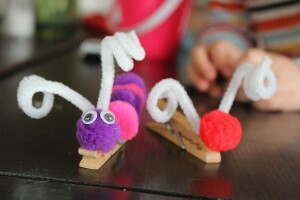 My mom sent this idea to me to make a Clothes Pin Caterpillar craft with Aidalyn. We are loving making simple crafts together. She has so much fun “building” new toys and friends. This Clothes Pin Caterpillar craft is so easy to make and uses simple supplies you can find at any craft section. I buy my supplies off Amazon, but Hobby Lobby and most Wal-Marts would have these too. 2) Next hot glue the bent pipe cleaner to your clothes pin about an inch from the end. You want to leave enough room for one puffy ball in front. 4) Alternating colors, hot glue the rest of the puffy balls down the length of your clothes pin. 5) Hot glue two googly eyes on the front puffy ball. A great book to read with this craft is the Very Hungry Caterpillar by Eric Carle. This is one of Aidalyn’s favorite books to read. It helps kids learn about counting and cause and effect. It also will help your kids learn about healthy foods to eat. You can have your caterpillar pretend to eat all the foods in the book and then color a page of a butterfly. Using the clothes pin is also a great fine motor activity for kids to practice. This would be a great lesson for a homeschool preschool plan. 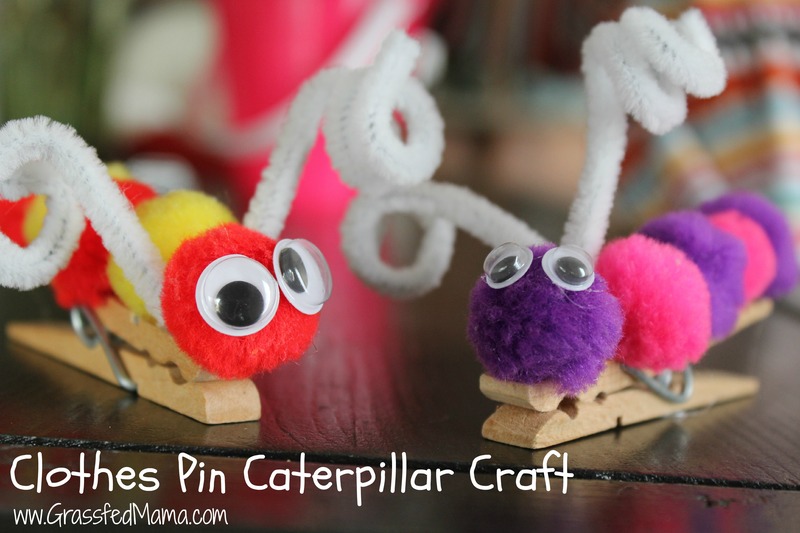 What are your favorite Clothes Pin crafts for your preschooler? The Very Hungry Caterpillar is one of our favorite books! We love anything that brings a book to life. Love that these are on clothespin. 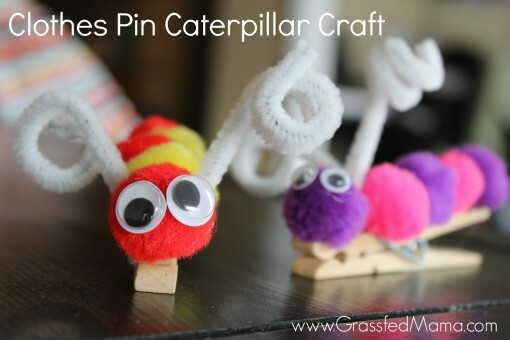 Have been looking for some different fine motor caterpillar crafts. Thanks for sharing! We do too! These have really held up too even with a destructive 3 year old, haha.